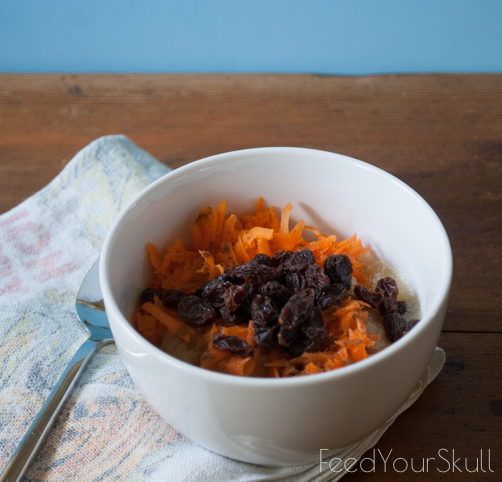 Today’s quick and easy Feed Your Skull a Snack is only 3 ingredients, dessert worthy and good for you! 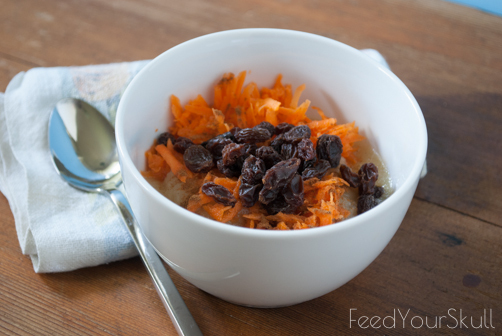 Make it a meal by adding it to a half serving of cooked old-fashioned rolled oats. It’s sweet, crunchy and satisfying! Top with a few sunflower seeds or walnuts for added brain, protein and fiber power. 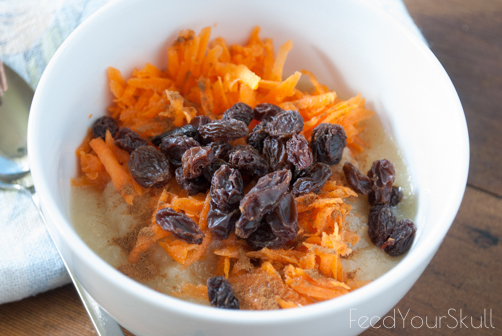 Add ingredients to a small bowl and get snacking!